【 HI-FI STEREO & NOISE CANCELING】 Are spark AP-01 built-in four high-quality audio firmware, 5.8mm speaker unit, composite diaphragm and special unit structure to show the incredible sound quality with deep bass and crystal clear treble. The latest Bluetooth V5.0 and CVC noise canceling technology ensure smooth and clear voice quality, giving you the perfect experience no matter listening to music or calling. 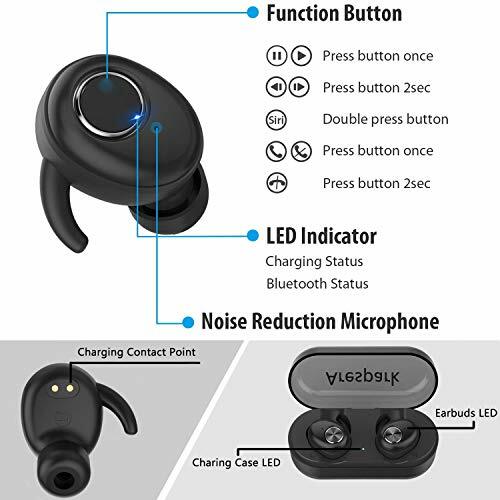 【 TRUE WIRELESS EXPERIENCE】 Unlike traditionally wired earphones that you need to press the button to power on. For Are spark AP-01, simply pull earbuds out, place into ears and start your true wireless audio experience. 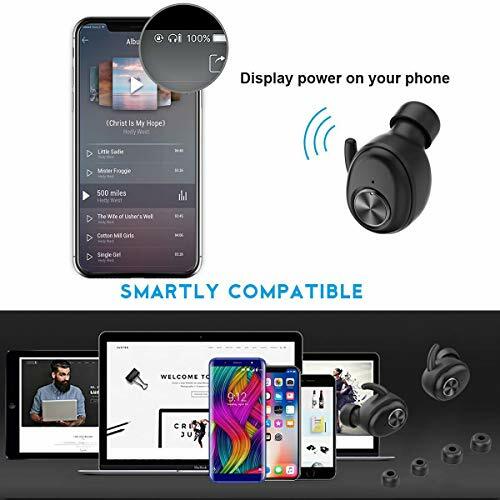 Truly wireless earbuds are equipped with built-in TWS technology, providing an easier and more stable wireless connection to your smartphones and other Bluetooth devices. The Bluetooth signal range can be up to 33ft. 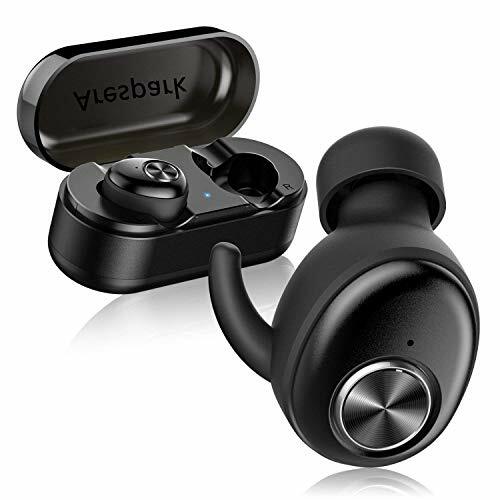 【MUSIC ALL DAY】 Are spark AP-01 wireless earbuds can last for over 3 hours to 3.5 hours’ music playtime on a single charge. Equipped with a portable 500mAh charging case, the super musical earbuds power can last up to 14 hours. Never worry about low battery when you are out all day. 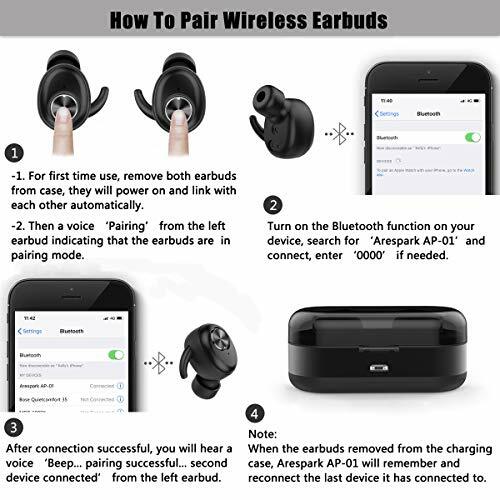 If you only put on one earbud, the usage time will be doubled. IPX5 waterproof allowing running/jogging. 【LIGHTWEIGHT & COMPACT DESIGN】 The ear tips are in three distinctive sizes, and we assure you to get your favorable sizes. Comfortable to wear for long hours with no pain. They fit securely, not easy to fall from ears without recognition. They easily blend with your body, and portable charging case into your pocket. 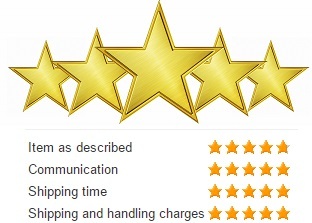 【 HOW TO CONTACT US】 Dear customers, we need to make clear: (1) From your review, do not provide the access to your order details, we don’t have a chance to contact you to solve your issues. (2) You are fully covered by our 1 YEAR WARRANTY and 30 DAYS RETURN GUARANTEE which sold by Lyhl Direct, all you need to do is write to us directly at the Buyer Center/Email. Please refer to the user manual.